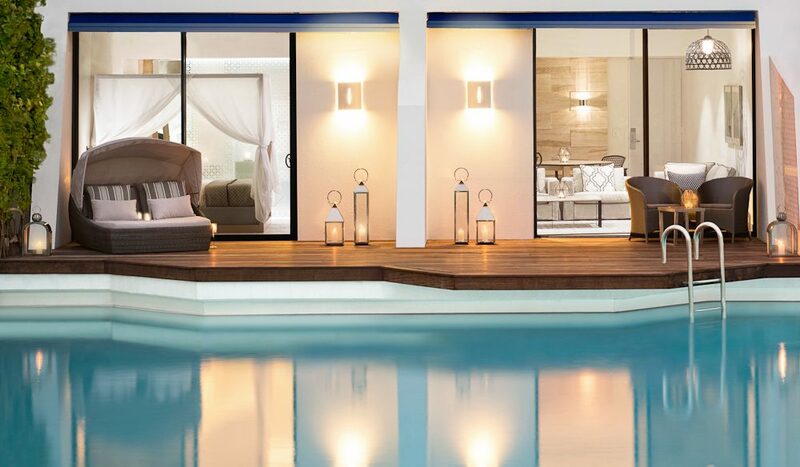 Dive in from your private pool deck: One&Only Hayman Island. 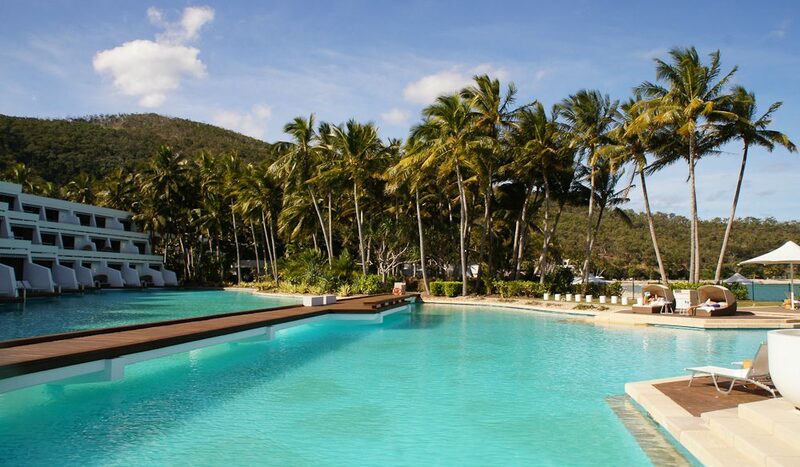 Australia’s most iconic Whitsundays island, Hayman Island, burst open the doors of its new resort One&Only Hayman Island on Tuesday after an $80 million facelift. Megan Arkinstall was there for Australian Traveller – for an exclusive first-look. Hayman Island has been the name on everyone’s lips since global luxury brand One&Only took over the management of its resort, investing $80 million to re-launch it as the first One&Only in the Asia Pacific. Australian Traveller arrived on Sunday, 29 June, two days shy of the big reveal, to a resort that was still in the midst of coming together, manically being completed in time for the arrival of a full house of eager guests with great expectations. But the staff weren’t worried; in fact, the atmosphere was a mix of excitement and relief – they’d been working toward this day since September last year when the resort was closed for refurbishments. And with a lot of long hours (and no doubt some blood, sweat and tears behind the scenes) on the morning of Tuesday, 1 July, the resort re-opened as the shiny new One&Only Hayman Island. 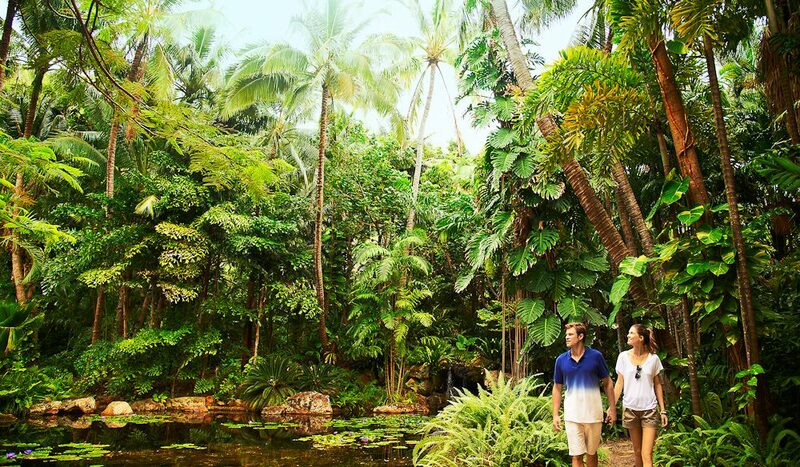 Since 1950, Hayman Island has been a holiday playground to those lured by the temptation of an exclusive and private island stay in the magical Whitsundays. Sixty-four years on, One&Only has taken the natural allure of the island – to-die-for views of the Coral Sea, lush tropical rainforest, white pristine beaches, prolific wildlife and that gorgeous balmy Queensland weather – and added to it beautifully and simply designed guest rooms, seven restaurants and bars serving up fresh local produce (and headed by executive chef Grant Murray from Atlantis, The Palm), a tranquil day spa, fitness centre with state-of-the-art equipment, a Kids’ Club, and a bounty of outdoor adventure activities, from seaplane and helicopter tours over the Great Barrier Reef to guided hiking trips across the island. But above all, the One&Only Midas touch: world-class service. Guests at the top end, in the three-bedroom owner’s penthouse and the two-bedroom Diane Von Furstenberg-designed penthouse, best experience this with their own 24-hour butler on call to cater to their every whim. More ice? Certainly. Pressed trousers? Not a problem. Unpack and re-pack your luggage? It’d be their pleasure. But guests in other rooms don’t go without. With a simple push of the ‘butler’ button on the in-room phone, a butler dedicated to your area of the resort will promptly appear to assist. It’s formal, high-attention service not often seen across Australia; but for a high-end private island resort, it’s fitting, and expected of the One&Only brand. (Despite the formality of the staff members, who are superbly dressed in Australian label ELLERY, the barefoot luxury vibe that Australian travellers so love is still present – but perhaps with a little fashionably chic outfit up top.) The accommodation itself has been completely refreshed with soft, neutral shades and pops of bright beachy colours and bold décor. 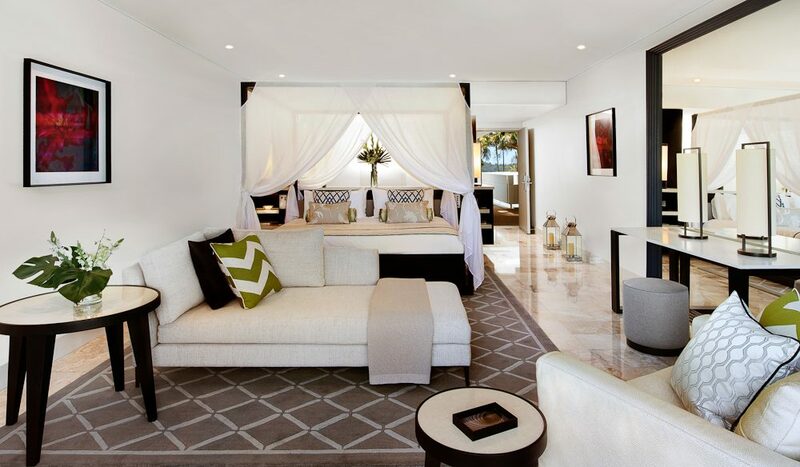 The Beach Wing is an exquisite collection of one-bedroom, Kerry Hill-designed villas perched on the shores of the white sandy beach in an exclusive key-only area of the resort. 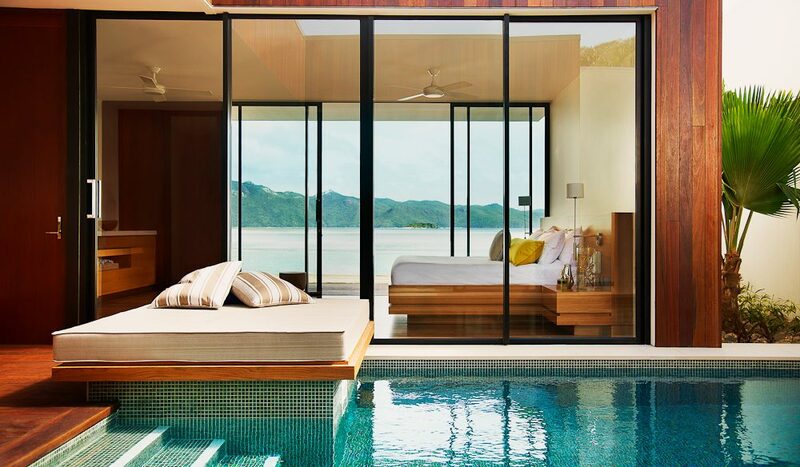 Each comes with an open-air private plunge pool, indoor/outdoor showers, and incredible views from the plush bed. The Pool Wing is made up of one- and two-bedroom pool suites (which are the spacious size of two of the original resort rooms), all with superb views and direct swim-out access from the lower floor suites. Below the penthouses in the Hayman Wing are spacious, airy lead-in rooms with views to the Coral Sea or the leafy grounds and overlooking the new Aquazure Pool area (which is still under construction but introduces a new beachfront dining venue, infinity edge pool and lounging, a poolside bar and indoor and alfresco dining). Unlike some luxury resorts of this calibre, One&Only caters well to children, with a fantastic Kids’ Club and accommodation suitable for families. The Beach Villas can be booked with the separate adjacent Retreat Room to accommodate children (but still with that blissful separation parents deserve on a holiday, right? ); the Pool Wing suites are available as one- or two- bedroom; the Hayman Wing rooms can interconnect; and the penthouses sleep up to six. Despite being on a private island, you won’t get bored of the dining options, with seven to choose from. We dined at the relaxed On the Rocks poolside dining in the warm sun – think burgers, salads, seafood and yummy fresh juices and cocktails; the Asian fusion Bamboo restaurant where we shared delicious Thai, Szechuan and Japanese dishes in a moody oriental garden setting (teppanyaki tables are also available for fun, hands-on dining); the authentic Italian Amici restaurant (which means ‘friends’ in Italian) where we were spoilt with a banquet of homely wood-fired pizza and antipasto in a warm, cosy family-style venue; and the resort’s signature fine-dining restaurant Fire, where we dined on haute cuisine with an Australian twist (the beef cheeks are to-die-for). Each morning, breakfast is served at the beachfront Pacific – we went back for seconds (and thirds) of the cute jars of Bircher muesli, passionfruit yoghurt and berries and mascarpone, and the simply delicious Garden Breakfast was a daily staple. There’s also Bar Fifty lounge, which oozes old-world charm for a tipple, and a hand-rolled cigar or shisha if you like, while playing a game of billiards; the once-weekly 20-guests only Chef’s Table; and casual Spanish tapas and paella at the Aquazure (coming soon). Guests can also request a gourmet beach picnic, or an intimate dinner in a garden cabana. With all the rich and delicious food, it’s a good thing that there are plenty of complimentary activities to get you active. We christened the fitness centre (I had to ask for a cable tie to be removed from one of the brand-spanking new machines!) – it’s spacious, airy and well-equipped. There’s also beach watersports, snorkelling lessons, golf lessons, tennis, beach fitness and boxing. Guided walks around the island are also available, including a hike and snorkel in the impossibly clear waters of Blue Pearl Bay, a hike to Sunset Peak, or a walk to spot wallabies and birds. We also couldn’t resist trying out the One&Only Spa, a lush sanctuary with a menu focusing on relaxation, rest and renewal using Amala products, the first spa in Australia to do so. The signature treatment is the Pedi:Mani:Cure by Bastien Gonzalez, an internationally acclaimed podiatrist whose treatments are medically focused on the wellbeing of your hands and feet, not just the aesthetics. The treatment (performed on hands and feet at the same time) begins with ‘natural beauty’ where my hyper-pink nail polish was removed and my nails cleaned, cut and buffed to shiny perfection. The second phase is the podiatry, where your skin is treated. And the third (and most heavenly) phase is the relaxation – a deep massage. I’ve never fallen asleep during a pedicure before. There’s a first for everything. 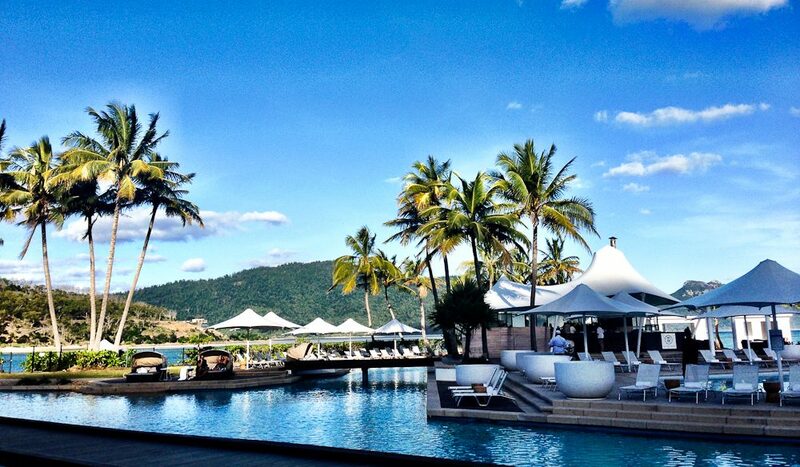 But the centrepiece, as has always been on Hayman, is the iconic pool – and, boy, is it looking special. 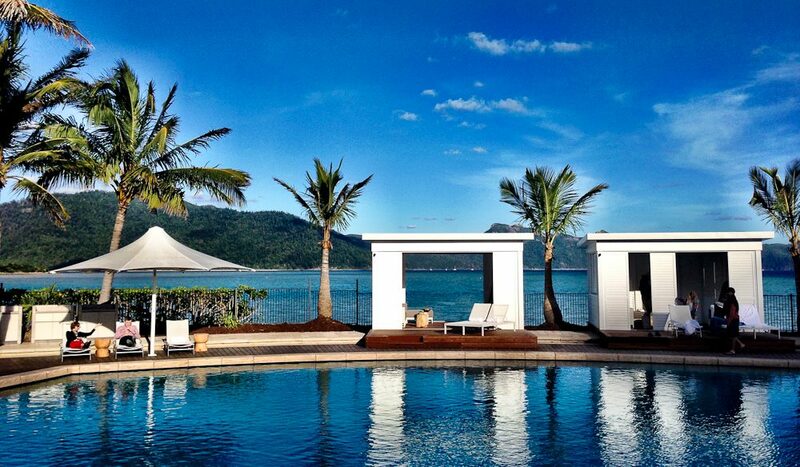 With the newly constructed cabanas sitting at the edge of the pool area, with front-row seats of the turquoise Whitsundays water, guests can reserve these for a day of lolling about the pool and drinking cocktails. Or pull up a sun bed, day bed or hammock scattered around the pool and on the beach below and soak up that gorgeous Whitsundays sun. It’s certainly a new chapter in the life of one of Australia’s favourite island destinations, with One&Only giving Hayman Island a new lease on life and bringing a whole new level of luxury to the Whitsundays. The island is abuzz with excitement, and we are too. You forgot to mention that the resort is not finished yet. Including the third floor in the pool wing and one of the restaurants. Including the company of around 250 contractors.